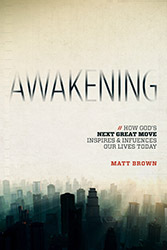 Matt Brown (@evangelistmatt) is an evangelist, author, and founder of Think Eternity. He and his wife Michelle are impacting millions of people with the gospel each year online and through live events. They also minister to more than two million followers on social media daily.